The 2015 Jones Cup started last night in Taipei, and, well, let’s just say it was an exciting opening day. The main takeaways? An uncharacteristically sloppy Korean team got blasted by Asian champs Iran, and Taiwan Blue was able to pull the rug from under Japan in overtime! 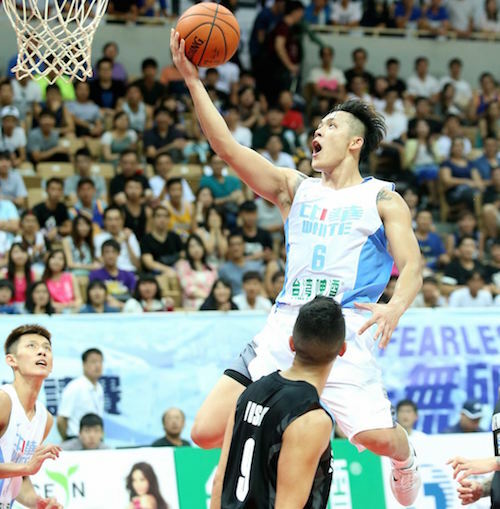 Lin Chih-Chieh lived up to his moniker of "The Beast" as he led Taiwan Blue to victory. Here are the complete results from Day One! It was an uncharacteristically sloppy Korean team that opened hostilities in the 2015 Jones Cup yesterday. Usually sharp and efficient, Korea looked listless, turning the ball over 23 times and shooting a paltry 27.3% from the field. Mewcomer Moon Tae-Young flopped here, scoring just 6 points on 2/10 FG shooting while also netting 6 turnovers. 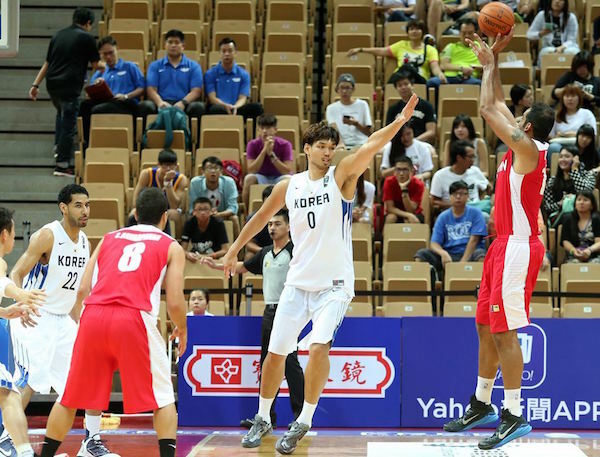 Cho Sung-Min paced Korea with 15 points, while Kim Jong-Kyu added 11 markers and 8 boards. Iran, meanwhile, was purely unstoppable and relentless. They had 14 steals and shot a blistering 52.5% from the floor. Youngsters Mohammad Jamshidi and Mohammad Hassanzadeh led the Iranian charge with 13 and 12 points respectively. 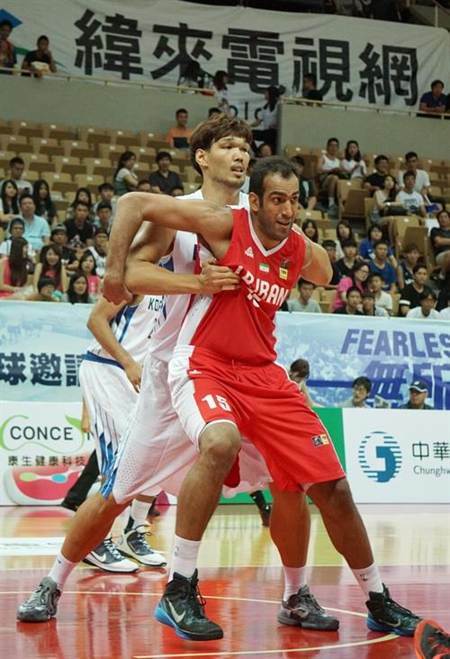 Ha Seung-Jin (L) was outplayed by Iranian giant Hamed Haddadi (R). Hamed Haddadi shoots over Ha Seung-Jin in the first quarter. The New Zealand selection leaned on a strong showing in the second and third periods to put some separation between themselves and a game Taiwan White team. Richie Edwards led the way with 28 points, while Ray Turner added 25. Former SBL import Bryan Davis tallied 22 points, while shooting guard Eric Devendorf dropped 21 markers. NZL was able to withstand a 27-point explosion from up-and-coming Taiwanese star wingman Chou Yi-Hsiang. Chou Yi-Hsiang rises to the basket in their loss to New Zealand. The Russian selection leaned on its outside shooting to repulse an athletic but erratic American side. Andrey Ivanov drained 4 triples on his way to a team-high 16 points for Russia, while Dmitriy Uzinskiy nailed 2 treys as he scored a dozen markers. Team USA was bannered by the 20 points of Cory Bradford, who hit 4 three-pointers, while Marquin Chandler and Calvin Warner tallied 14 and 12 points respectively. 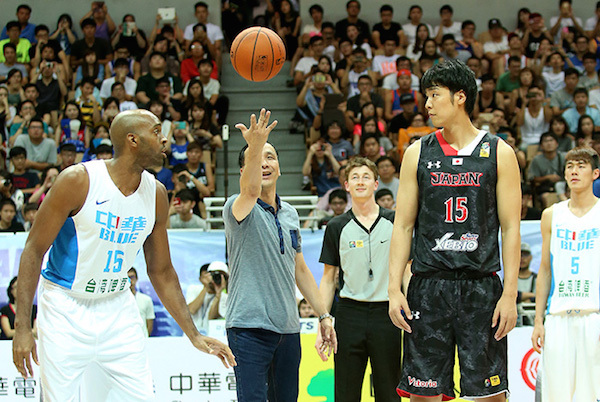 In what was, by far, the most scintillating game of the day, home team Taiwan Blue overcame a hot-shooting Japanese side in overtime. Lin Chih-Chieh, who earlier announced his impending retirement from international hoops, led the way with 18 points, 8 assists, and 6 rebounds for Taiwan, while big man Tseng Wen-Ting added 12 points, 5 boards, and 4 dimes. They battled back from as many as 8 points down in the second half to force OT and complete the turnaround for the win. Undersized frontliner Tsai Wen-Cheng hit the game-winning lay-up off an assist from Lin with about 16 ticks to go in the extra inning. 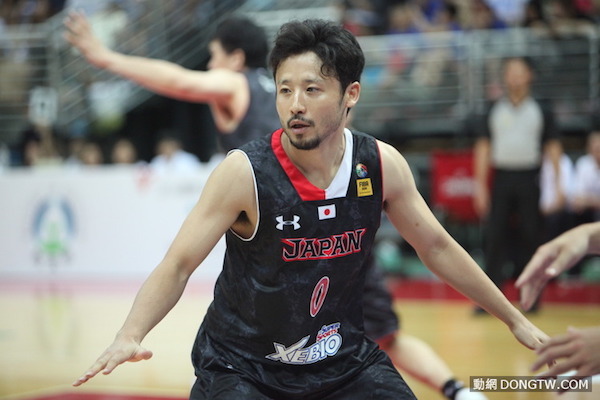 Center Joji Takeuchi paced Team Hayabusa with 17 points and 9 rebounds, while sniper Takatoshi Furukawa dropped 16 points on the strength of 4 triples. The ceremonial toss between Quincy Davis and Joji Takeuchi officially opened the tournament. 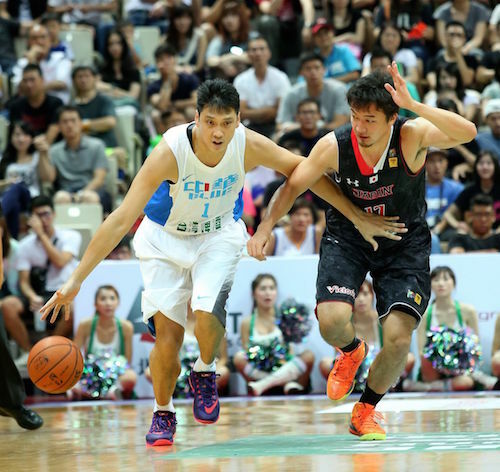 Taiwan's Tien Lei tries to dribble past Japanese big man Gaku Arao. Yuta Tabuse didn't have the most auspicious debut for Japan. He failed to score, but he grabbed 9 rebounds and handed out 4 assists.